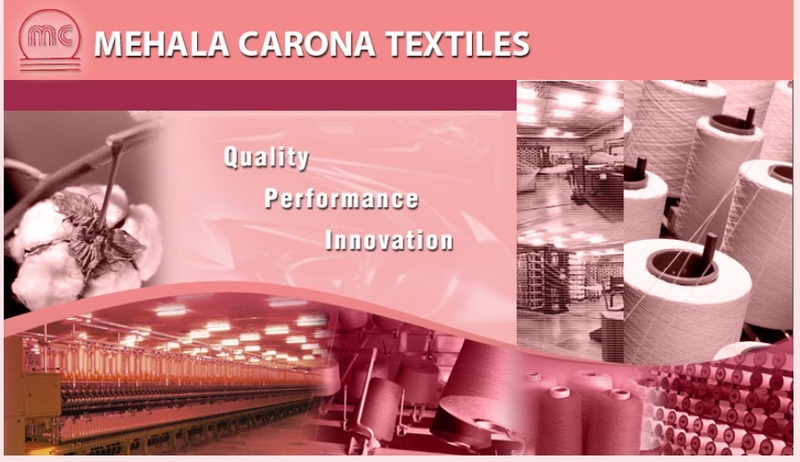 Mehala Carona textiles (P) Ltd, is modern and reputed spinning mill establised in the year 1996. 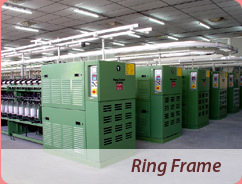 The unit is located in Gobi which is situated 75 Kms from Tirupur in the state of Tamilnadu. 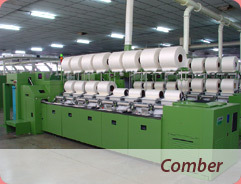 The company manufacturers Hosiery yarn which has large marketing network. Being a highly quality conscious company its product has a high demand and its is supplying to all leading buyers and garments exporters in india. 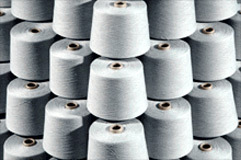 Mehala Carona is also GOTS and OE certified to provide Organic yarn. 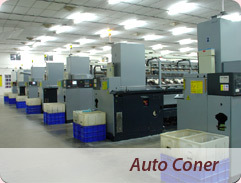 Total Confromance to nominal count with microcomputer control for quality and production. Intensive cleaning with excellent fibre orientation system especially for the removal of seedcoat Fragments, Trash, Neps adn Micro Dust. 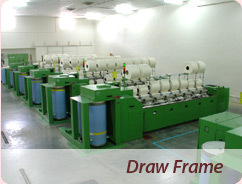 Draw Frame. 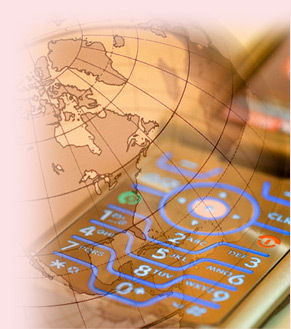 High quality standards, Most consistent long term count stability through precise scanning. State-of-the-art brand new LH 10 Lapformer and LK 54 Combers ensures finest combed sliver output. 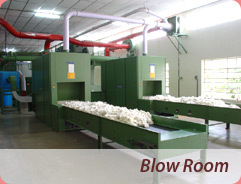 Efficient Roving Preparation with minimum stretch for consistent high quality yarn. LMW model LR6 with innovation in spinning elements and is dedicated to "Spinning Value" for the customer. Represents the ultimtae mix of engineering and market needs. Latest Autocone winder 338 model from M/s Schlafhorst, Germany, Equipped with latest uster Quantum Electronic yarn Clearers and Siro Clearers with foreign fibre / Contamination removal channels. 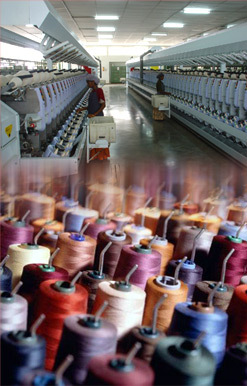 We have set ourselves very high quality parameters and the outgoing yarn is stringently monitored to match with the set standards. Our - house quality assurance lab is equipped with state of the art equipments and additionally we avail services of certified agencies like SITRA, The Textile Committee and incorporate their suggestions to achieve further improvements in quality. The yarn produced from our state-of-art plant, satisfy the needs of a wide spectrum knitting end-users, also for the weavers yarns are suitable for high speed knitting machines, and Auto-looms are auto-coned, spliced, electronically cleared and contamination freed. The yarn count ranges from 20s to 40s. 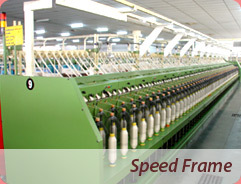 Our Spinning Mills are equipped with state of the art machinery from LMW, Rieter, Schlaforst, etc. 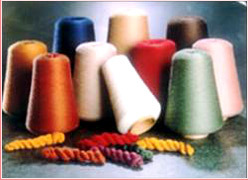 Testing equipment include a complete range of Uster testing equipment for cotton and yarn.